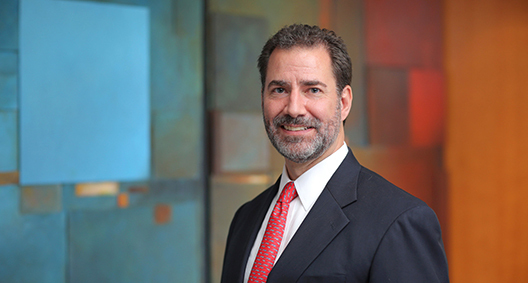 Armed with a roster of powerful clients and substantial securities litigation and class action wins, Joseph Sacca is a noteworthy addition to BakerHostetler's White Collar, Investigations and Securities Enforcement and Litigation team. He represents an array of U.S. and international clients in complex securities, derivative, corporate and commercial litigation in federal and state courts, as well as in arbitration proceedings. From defending a Swiss multinational investment bank in connection with a suit by the Federal Housing Finance Agency that sought to recover billions of dollars, to successfully representing one of the world's largest automakers in the trial of a multibillion-dollar securities fraud action -- a victory that the National Law Journal deemed the "Top Defense Win of 2005" -- Joe's high-profile work has gained plenty of notice outside of the courtroom. Represented independent directors of an international software company at trial of direct and derivative shareholder claims seeking to invalidate certain corporate transactions, including share issuances and executive change-in-control agreement. Successfully defended, in an arbitration hearing, a privately-held company against breach of contract claims by an early-stage investor seeking an award of shares under an advisory agreement. Defended investment banks against federal securities claims brought by the Federal Housing Finance Agency relating to mortgage-backed securities. Represented a real estate brokerage franchisor in a class action brought by franchisees alleging claims for breach of contract and breach of fiduciary duty. Successfully defended, at trial and on appeal, a major automobile manufacturer against securities fraud claims alleging that the announced merger of equals that created the company, was instead a disguised takeover in which an acquisition premium should have been paid. Successfully defended, at trial and on appeal, a major utility company against a breach of contract claim following its termination of a merger agreement upon its determination that its merger partner had suffered a material adverse change. Represented a Big Four accounting firm in actions alleging accounting malpractice and disputes with former partners. Represented numerous publicly-traded companies in shareholder securities and derivative actions alleging fraud and breach of fiduciary duties. Represented real estate developers and property owners in cases involving claims of breach of contract and breach of fiduciary duties. Won the largest jury verdict ever in a housing discrimination case against a New York City cooperative.